With a range of packaging materials on offer, consumers are increasingly aware of how their choices are impacting upon the environment. But longer term, a predicted global food shortage means that the preservation qualities of our packaging should be considered as important as recyclability. For canned foods pioneers two centuries ago, recycling and protecting the environment were not the main concern. Their principle objective of the time was to preserve food supplies as effectively as possible by transporting safely, surviving trench conditions, and not spoiling in transport. Canning was the ideal solution. At the end of World War I, companies that had supplied military canned food improved the quality of their goods for civilian sale, and they have been kitchen cupboard staples ever since. But the importance of effectively preserving food is more than a history lesson, it continues to this day and will only become more vital in the near future. It is estimated that around 88 million tonnes of food are wasted every year in the EU and, according to Sara Menker, founder and chief executive of agricultural data technology company Gro Intelligence, by 2027 the world could be facing a 214 trillion calorie deficit. That is the equivalent to the calories provided by 379 billion Big Mac hamburgers—more than McDonald’s has produced in its history. Put simply, in less than a decade it is possible that there will not be enough food to feed the planet. 2050 is the deadline usually cited by scientists and organisations like the United Nations’ Food and Agriculture Organization (FAO) and Oxfam as the year the world will run out of food. By then, the world’s population is expected to reach 9.1 billion, and the FAO predicts that at that point, the world would need to produce 70% more food than today to feed everyone. But the problem with this, and most, assessments of food insecurity, Menker says, is that it uses mass and weight, and not nutritional value. She says that based on the nutritional value of current food production, global food security is already more tenuous than we think. If such predictions prove accurate, the need to preserve the nutrients in our food will soon become critical. With this in mind, consider the original purpose of canning, and the additional benefits it offers. 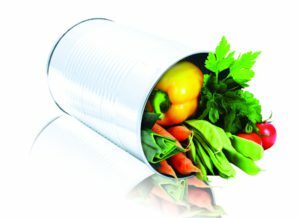 Canned fruits and vegetables are harvested at their peak of ripeness and are canned in as little as 4 hours, minimising product loss at processing and locking nutrients in. Misshapen or “ugly” food which may otherwise be rejected by retailers can be canned and processed as normal, minimising waste. Steel’s unique strength and 100% barrier against light, water and air protects food, reducing product loss, and portion sized packaging allows consumers to buy the precise quantity needed, minimising waste at household level. And while fresh fruit and vegetables spoil within a week on average, food packed in steel easily outlasts its 3-year best before date, without the use of fridges or freezers. No other packaging material equals steel’s strength, total barrier properties or shelf life. As a result, food packed in steel stays fresh for longer, retains its flavour and is less likely to be damaged, spoiled, or unnecessarily wasted. 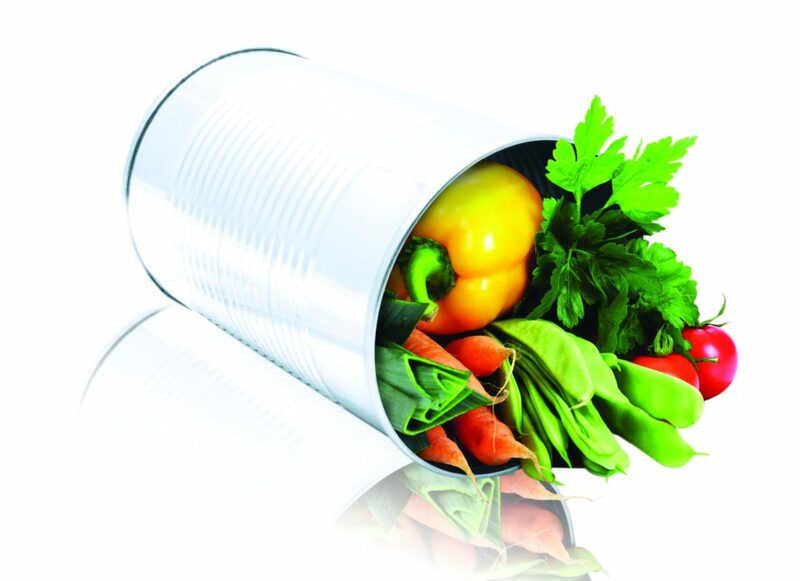 Though it may be a 200-year-old solution, canning remains the most effective option when it comes to preserving the food we will need to sustain our growing population. The steel can continues to evolve, with innovation evident across the sector, and so will continue to preserve the world’s food for many years to come.